In 2012 and 2014, the Department of Mineral Resources granted three prospecting rights for marine phosphate covering approximately 10% of South Africa’s exclusive economic zone. 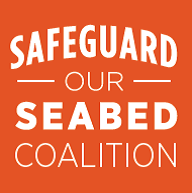 In response to concerns that unsustainable bulk marine sediment mining will soon be authorised in South Africa, a group of organisations formed the Safeguard our Seabed Coalition. Since 2015 the Safeguard our Seabed Coalition, of which the Centre for Environmental Rights is a member, has been pursuing a moratorium on bulk marine sediment mining in South Africa. The Fact Sheets aim to provide an introduction to decision-makers and other interested parties on the risks posed by bulk marine sediment mining in South Africa, the status of seabed mining internationally and the rationale for why a cautious approach to bulk marine sediment mining should be adopted in South Africa. No. 1: The Looming Threat of Bulk Marine Sediment Mining provides a brief introduction to the issue and outlines the reasons why the Safeguard our Seabed Coalition is pursuing a moratorium on bulk marine sediment mining. No. 2: Marine phosphate mining – South African context provides specific information on the status of marine phosphate mining in South Africa, alongside information on potential socio-economic and environmental risks and impacts if mining were to proceed in these areas. No. 3: Seabed mining a global threat to our oceans – International context provides an introduction to the status of seabed mining internationally and outlines cases of how other countries have approached proposals for bulk marine sediment mining in their exclusive economic zones.